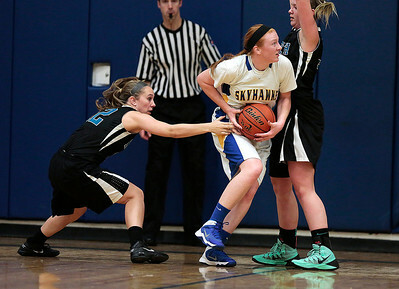 Kyle Grillot - kgrillot@shawmedia.com Woodstock North junior Ashley Jones and Jaohnsburg junior Madie Rowe rush for a loose ball during the first quarter of the girls basketball game Monday in Johnsburg. Johnsburg beat Woodstock North, 51-33. 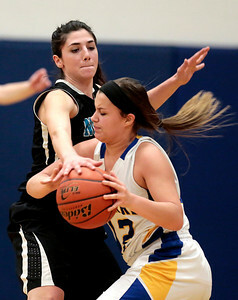 Kyle Grillot - kgrillot@shawmedia.com Woodstock North senior Samantha Abbate (left) tries to knock the ball from Johnsburg senior Maddie Himpelmann during the first quarter of the girls basketball game Monday in Johnsburg. Johnsburg beat Woodstock North, 51-33. 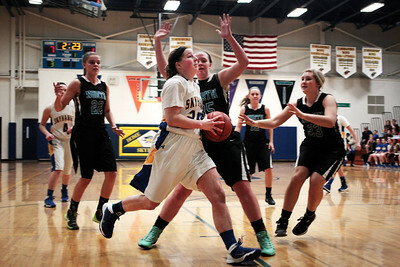 Kyle Grillot - kgrillot@shawmedia.com Johnsburg junior Carly Wilson (center) goes to put up a shot under pressure from Woodstock North sophomore Jennifer Crain (left) and sophomore Haley Ahr during the first quarter of the girls basketball game Monday in Johnsburg. Johnsburg beat Woodstock North, 51-33. Kyle Grillot - kgrillot@shawmedia.com Johnsburg senior Kayla Toussaint puts up a shot during the first quarter of the girls basketball game Monday in Johnsburg. Johnsburg beat Woodstock North, 51-33. Kyle Grillot - kgrillot@shawmedia.com Woodstock North junior Rhetta Bates gestures towards teammates during the second quarter of the girls basketball game Monday in Johnsburg. Johnsburg beat Woodstock North, 51-33. 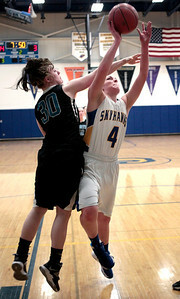 Kyle Grillot - kgrillot@shawmedia.com Johnsburg junior Madie Rowe (4) puts up a shot under pressure from Woodstock North senior sara Crain during the second quarter of the girls basketball game Monday in Johnsburg. Johnsburg beat Woodstock North, 51-33. 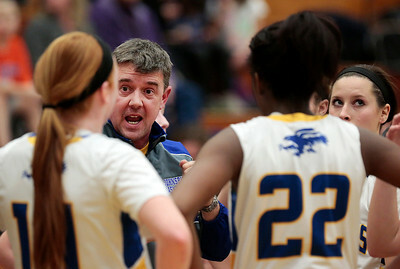 Kyle Grillot - kgrillot@shawmedia.com Johnsburg head coach Brad Frey talks with his players during a time out in the fourth quarter of the girls basketball game Monday in Johnsburg. Johnsburg beat Woodstock North, 51-33. 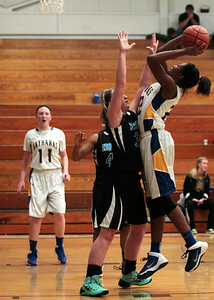 Kyle Grillot - kgrillot@shawmedia.com Johnsburg sophomore Jazza Johns puts up a shot under pressure from Woodstock North sophomore Haley Ahr during the third quarter of the girls basketball game Monday in Johnsburg. Johnsburg beat Woodstock North, 51-33. 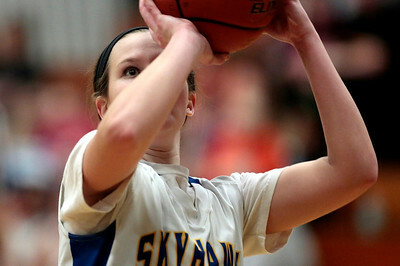 Kyle Grillot - kgrillot@shawmedia.com Johnsburg senior Amy Majercik goes to put up a shot during the second quarter of the girls basketball game Monday in Johnsburg. Johnsburg beat Woodstock North, 51-33. 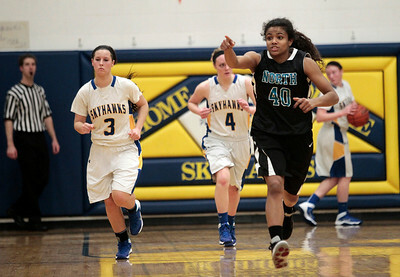 Kyle Grillot - kgrillot@shawmedia.com Johnsburg senior Kayla Toussaint (14) dribbles around Wodstock North sophomore Martha Everly during the fourth quarter of the girls basketball game Monday in Johnsburg. Johnsburg beat Woodstock North, 51-33. Kyle Grillot - kgrillot@shawmedia.com Woodstock North had coach Mike Lewis talks with sophomore Martha Everly during the fourth quarter of the girls basketball game Monday in Johnsburg. Johnsburg beat Woodstock North, 51-33. 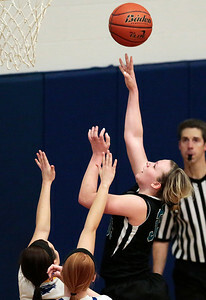 Kyle Grillot - kgrillot@shawmedia.com Woodstock North sophomore Haley Ahr (35) puts up a shot during the fourth quarter of the girls basketball game Monday in Johnsburg. Johnsburg beat Woodstock North, 51-33. Kyle Grillot - kgrillot@shawmedia.com Woodstock North sophomore Jennifer Crain (12) reacts as Johnsburg junior Anna Fox shoots free throw during the final seconds of the fourth quarter of the girls basketball game Monday in Johnsburg. Johnsburg beat Woodstock North, 51-33. 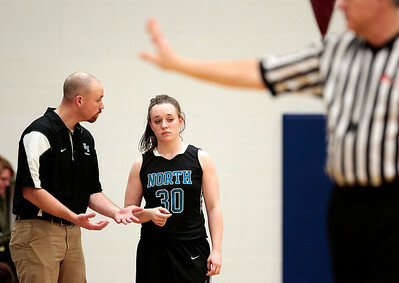 Woodstock North had coach Mike Lewis talks with sophomore Martha Everly during the fourth quarter of the girls basketball game Monday in Johnsburg. 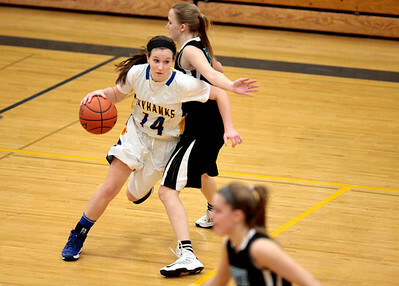 Johnsburg beat Woodstock North, 51-33.